Tipping is a common social norm and voluntary practice in the US and not only, meant to reward someone for performing a service, especially a good one. In their recent article on the best and worst tippers in the US, Roberto A. Ferdman and Davis Yanofsky give an insight into the trends of tipping throughout the US in the food and beverage sector and, more specifically, in coffee shops, food trucks and restaurants. Data on payment transactions registered in the US by the e-payment service Square and provided to Quartz has shown that coffee shop customers are the most generous of the three above mentioned categories when it comes to tipping. On average, coffee shop goers leave a tip that is 18% of the bill. The best tippers are in South Carolina (17% of the bill), while the least generous in Hawaii (15% of the bill). Second, there come the food trucks with a national average of 17.6% of the bill. In this case, the most generous state is Iowa (25% of the bill), while the least generous are Pennsylvania and Georgia (15% of the bill). The national average of 16.5% makes restaurant customers the least generous, as the tip given by restaurant goers ranges from 14.6% in Nevada to 20.1% in West Virginia. Although some incorrectly consider tip to be an abbreviation coming from “To insure promptness”, the act of tipping can indeed reflect customer satisfaction, be it in terms of promptness, quality of the services provided or behavior of the staff (friendliness, attentiveness). Giving tips in not mandatory. However the data provided by Square shows that, on average, 57% of the time, restaurant customers leave a tip, and the food truck goers – 37% of the time. When considering these figures, it should be taken into account that they only reflect the trend in places using Square. Nonetheless, tipping does not always mirrors customer satisfaction. Nowadays, it seems that technology plays its own role in the case of customers paying by credit card. Trends have shown that persons paying via credit card tend to leave larger tips, and this can be observed through an increase in revenue, as it was the case of cab drives in New York, whose revenue augmented by 13% after introducing the payment by credit card. 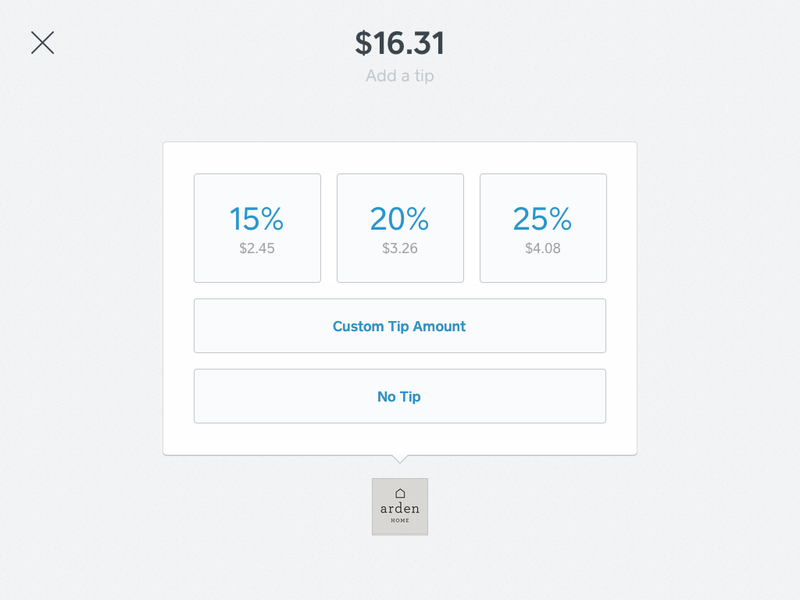 Moreover, different payment and tipping apps such as Level Up, Square or Seamless have taken the tip jar to the digital level, suggesting people to leave tips. Some of them can even calculate the value of the tip. As a result, when paying by apps, if the customer does not want to tip, he must select the option “no tip”. Since tipping is viewed as a social norm, this can trigger a feeling of guilt and thus lead to guilt tipping. Despite this trend of putting the tipping in the face of customers with the invention of the “e-tip jar”, customers should not let themselves driven by guilt when tipping. They should refrain the feeling of guilt from taking over them in such situations.